Kingdom Cleaning Services, a full-service roof cleaning company, specializes in the removal of mold, mildew, loose debris and moss algae from your roof. Our services remove and clean the moss from your roof and use our expertise to treat it to prevent any further growth. Kingdom Cleaning Service is a highly regarded Roof Washing Company serving Carson, CA and the surrounding areas. With same day service and 27/4 emergency service, we offer gutter cleaning, roof cleaning and Roof Repair estimates. No roof job is too big or too small for us to perform. Our processes are completely effective in removing mold, black algae, mildew, debris, fungus and all types of Moss from your composite asphalt concrete tile roof, shingle roof, metal roofing and cedar roof surfaces. With various Roof Washing Techniques available including Hand Brushing, Low Pressure Washing, Air Blowing, and other highly specialized preventive treatments, we can handle it all. 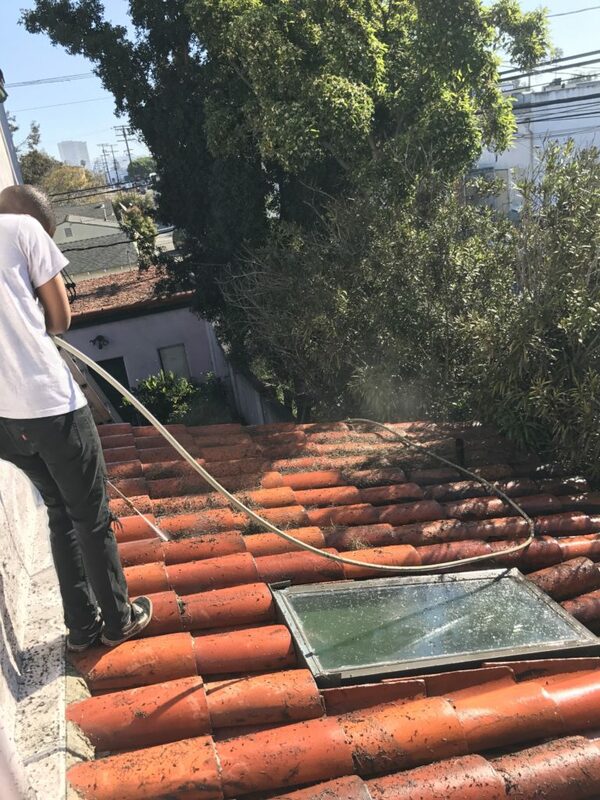 We provide safe and affordable professional roof cleaning options and do not use caustic and/or poisonous NO-Pressure “treatments” some companies use. Cleaning a roof correctly is an extensive task which requires the enlistment of a professional roof cleaner. We are family owned and operated and have over 12 years of experience cleaning and preserving roofs in Carson, CA. We know exactly just how much pressure to apply, which state-of-the-art equipment to use and the accurate procedure to clean your roof to prevent damage and growth of unwanted elements. I’ve learned through years of servicing and cleaning countless rooftops, how to clean yours with the proper top-notch equipment and ability.